Microsoft recently announced that Visual Studio 2015 would be the last version to support LightSwitch and advised developers not to start new development using this platform. This has left many LOB developers looking for a stable, well-supported platform to replace LightSwitch, and moving from LightSwitch to HTML5 is one of the most suitable paths. In this two-part series, we'll look at how to create a simple data-driven app in HTML5 using Angular and ASP.NET MVC. In this blog, we'll focus on ASP.NET Core. For someone coming from LightSwitch background, though, it's still missing some features. LightSwitch offered designers and screens to quickly create LOB applications, and while Angular is easy, it presents a learning curve for someone coming from server side C#, and it involves writing some code for simple apps. Let's start with a simple app in ASP.NET Core. This walkthrough uses VS2015. Scaffolders to generate Controllers and Views/screens. In Visual Studio, Click on File > New Project. 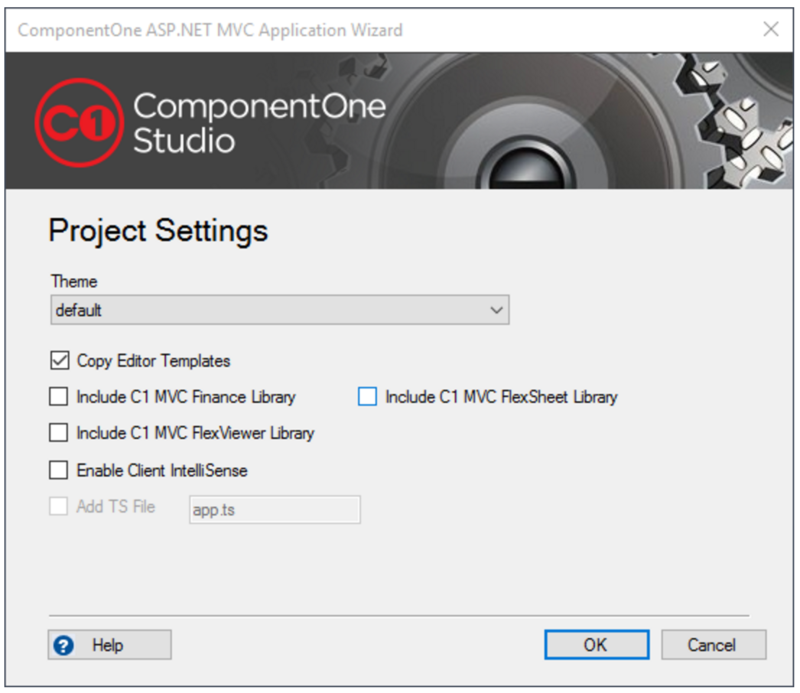 Under Web Node, select "C1 ASP.NET Core MVC Web Application" template. Give a name to the project and click OK. In the Project wizard, check "Enable client IntelliSense" and check "Add TS file"
Click OK to complete the project creation. 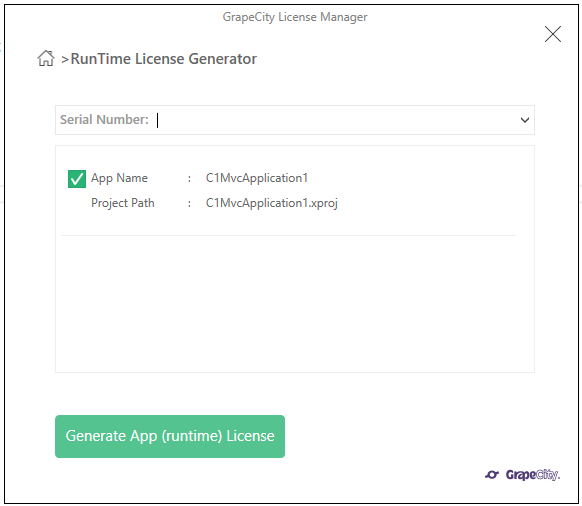 In the next window, use the dropdown to select a registered C1 license key or Eval and hit "Generate App(runtime) License" button. This generates an XML file with a unique GUID and adds it to the project. 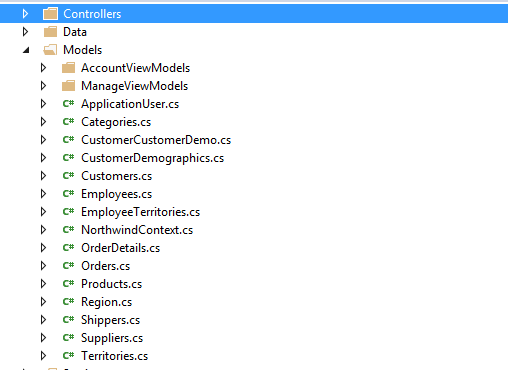 Data models can be added to the project in various ways; you can create POCO classes or use Entity Framework. In this example, we'l be using the new Entity Framework Core 1.0, which directly interacts with an existing database. Entity Framework can quickly scaffold models out of database using the "Scaffold-DbContext" command via NuGet Package Manager Console. //   #warning To protect potentially sensitive information in your connection string, you should move it out of source code. See http://go.microsoft.com/fwlink/?LinkId=723263 for guidance on storing connection strings. We're done configuring data. Next we'll see how to use scaffolding to quickly generate Screens, Views and related Controller code. 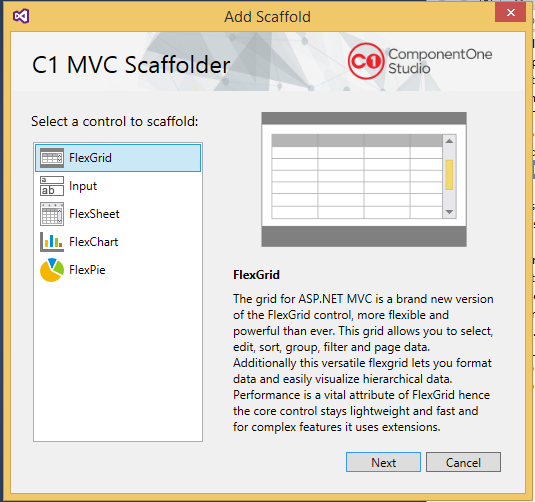 From the Add Scaffolder window, select C1Scaffolder. Click Add. The C1Scaffolder offers various options: FlexGrid, Input, FlexChart. Select FlexGrid and hit next. 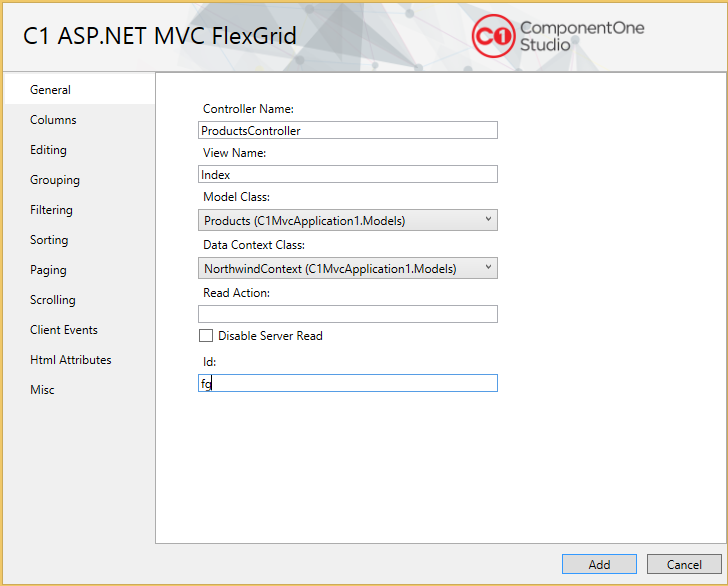 The MVC FlexGrid window opens. 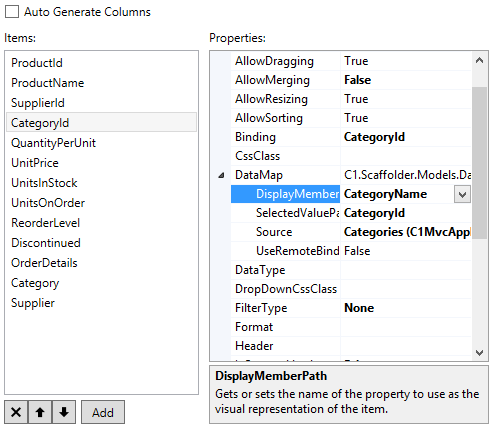 Remove SupplierID and OrderDetail columns using the remove button. Displaying IDs for CategoryID may not be helpful to user, so instead we should display CategoryName for CategoryID. This can be configured easily in this tab. Set "Header" property of the column to "Category"
Check CategoryID under Group Descriptions. Set Page Size to 20. /// In order to get the real exception message. /// Get string from object array. The Index.cshtml will have the generated code for FlexGrid with all the properties already set. All of this functionality without having to write a single line of code! 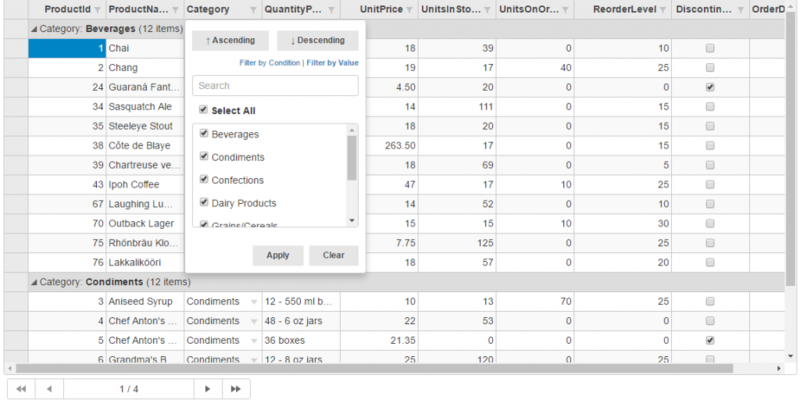 We've met all the requirements except one: we need to apply conditional formatting on "UnitsInStock" column so that products below certain threshold are shown in red. We've displayed products data without writing any code, and we had to write a small script to customize the display. 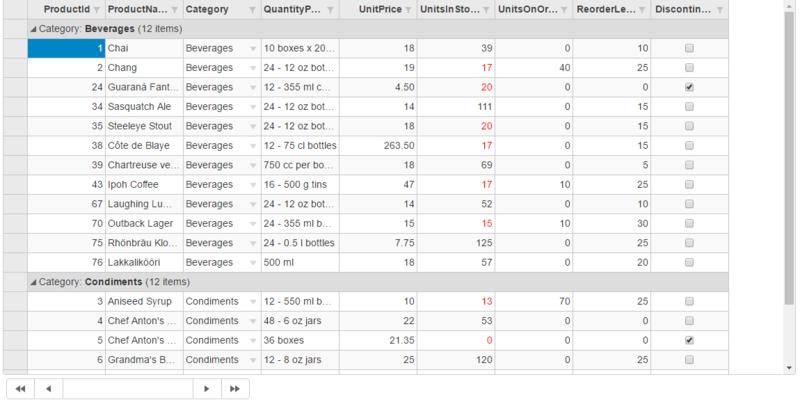 FlexGrid supports exporting to Excel both on client and server side (on server side it makes use of Web APIs). 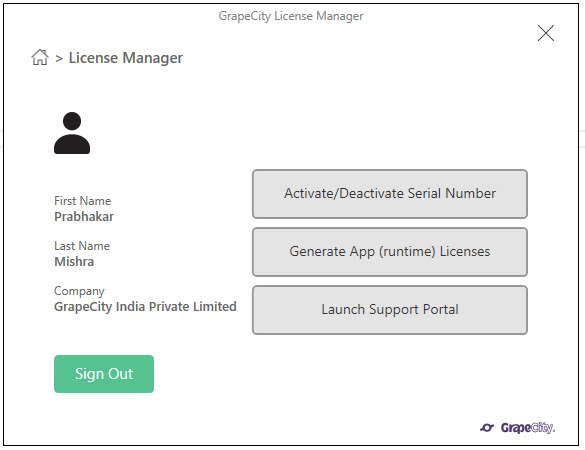 You could also design reports using the standalone FlexReport Designer app and display them using MVC FlexViewer and FlexReport Web API. 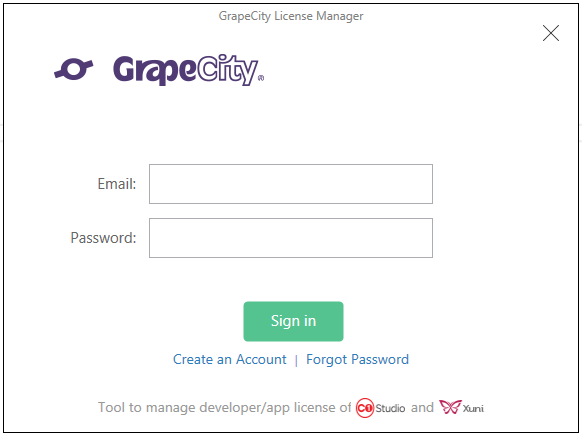 The built-in item template configures the FlexViewer, and Web API removes the necessity to write lot of code so you can concentrate on business requirements. The Scaffolder require Entity Framework 6.0 or Entity Framework Core 1.0; for more details, please refer to our documentation.